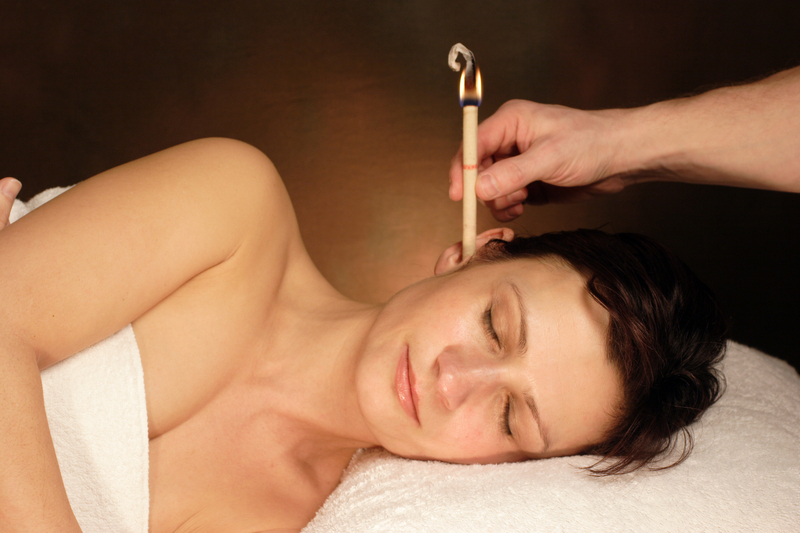 A hollow beeswax candle is placed in the entrance to the ear and lit. Each ear is treated separately. The treatment is enhanced by the inclusion of a full facial lymphatic drainage massage and will last for approximately 1 hour. The treatment induces a pleasant feeling of warmth and a balance of pressure in the ears, forehead and sinuses and is very soothing and helpful for earache, glue-ear, ear noise, catarrh, migraines, sinusitis, neuralgia and rhinitis. Only BIOSUN candles are used, as illustrated, which are medical products class 11a according to medical device directive 93/42/EEC.